Make Valentine's Day dinner an evening to remember with a menu of creamy shrimp pasta, fruity punch, an elegant apple side dish and lava cake for dessert. 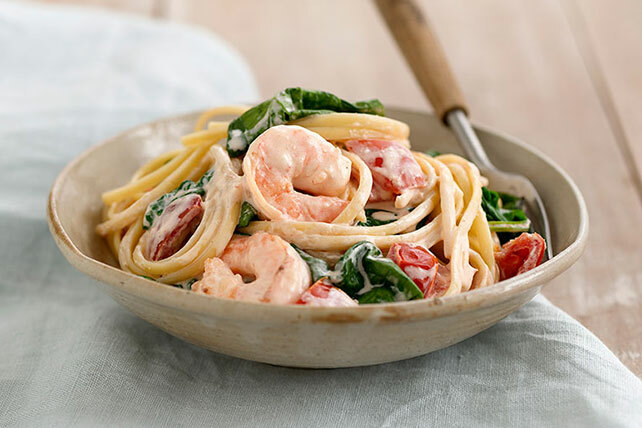 Nothing says "special occasion" like a plate of seafood and creamy pasta. And the best part? It cooks in just 20 minutes! Not a seafood fan? Check out our list of Valentine's Day menu ideas for other entrée options! 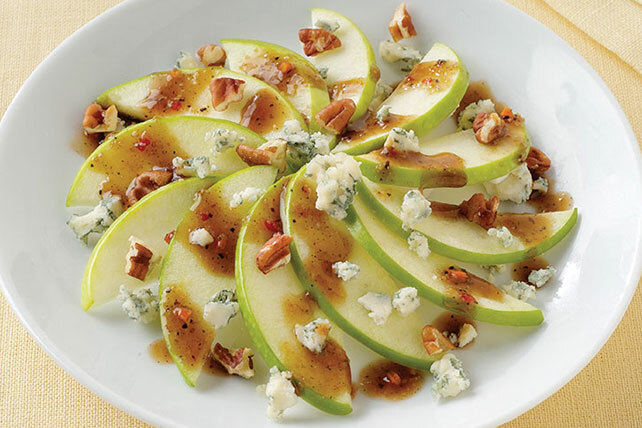 A gorgeous fan of thinly sliced apples adorned with crumbly cheese and pecans is a side salad that can stand up to the most sophisticated entrée. Need another reason to fall in love? It's ready in just 5 minutes. Raise a glass to romance with this fruity, special occasion drink, complete with frozen raspberries forming pretty, flavorful ice cubes. 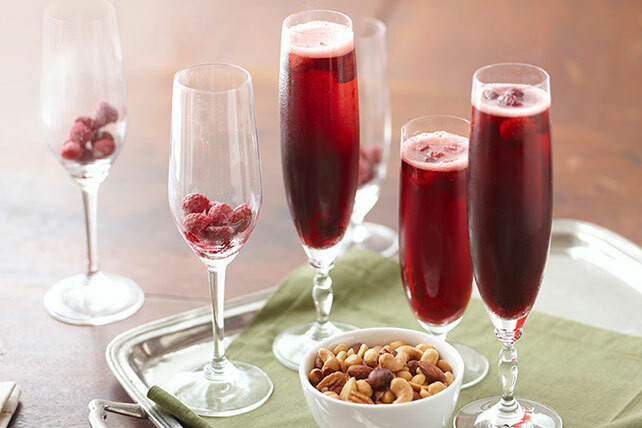 It just may be the perfect Valentine's Day mocktail—but if you're looking for cocktails, we've got those, too! 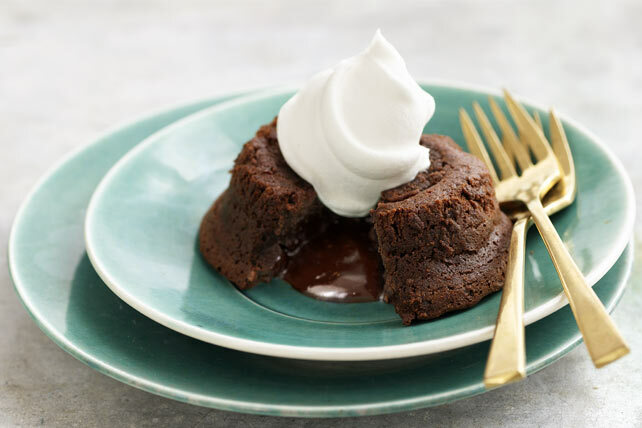 A special day calls for a special dessert, and this over-the-top, gooey-center chocolate cake fits that category. Thinking of a different sweet for your sweetie? Check out our other Valentine's Day desserts!